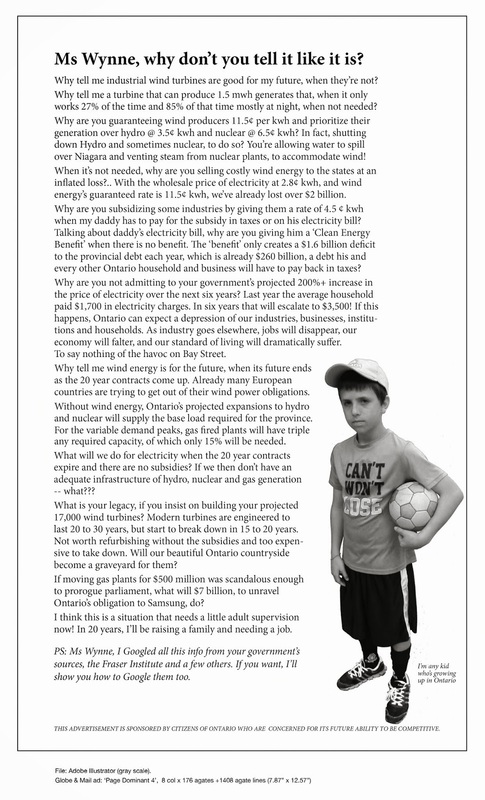 Niagara Wind Open House | Mothers Against Wind Turbines Inc. Yes, it is truly sad that the reality of the harm done to so many people has not informed those who remain blinded by their zealotry. It would be interesting to know the lifestyles of the people who attended this event to see if they’re commitment to the environment is reflected in the way they live. It is absolutely necessary for people who have the ability to communicate/educate to get the truth out about the harm, so that these people who celebrate industrial wind turbines being turned on, will be seen for what they are. It’s time to publish the names of these people who demonstrate their lack of compassion. Industrial wind is becoming a ‘stranded asset’ and a legal liability for Ontario.